So you're going camping on the lake for a fun weekend of fishing. It's going to be so cool. Why not actually be ON the lake? Makes sense right? Of course it does. That's where the fish are. The Raptor Platform makes it possible. 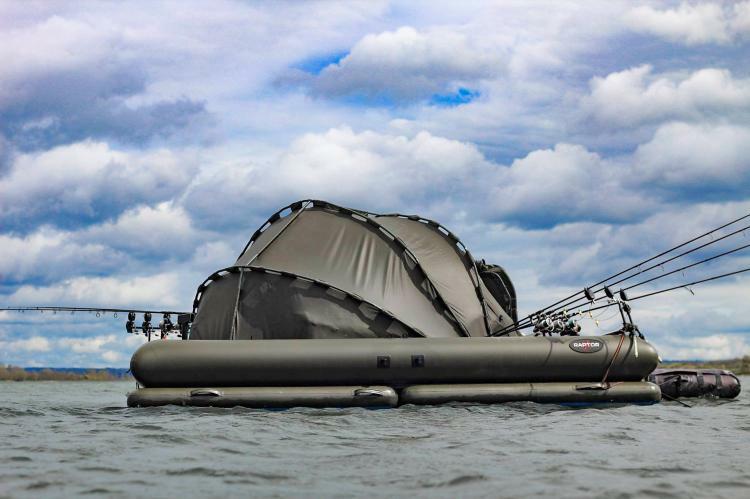 It's a giant floating fishing platform, that lets you camp on the lake. 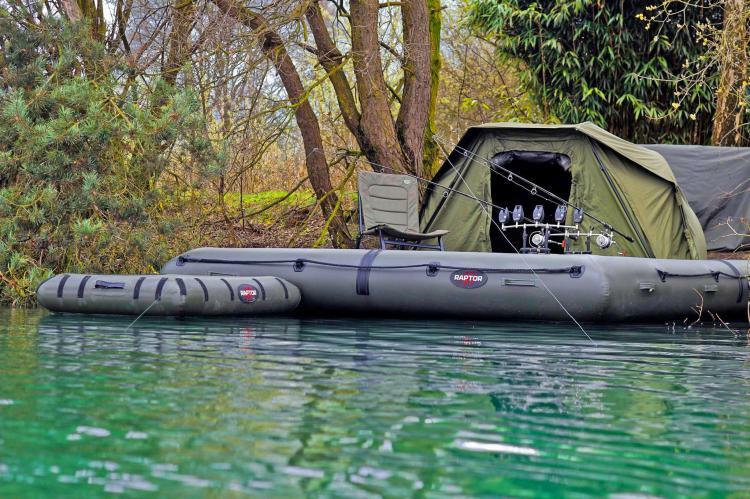 Now that's camping and fishing in style. 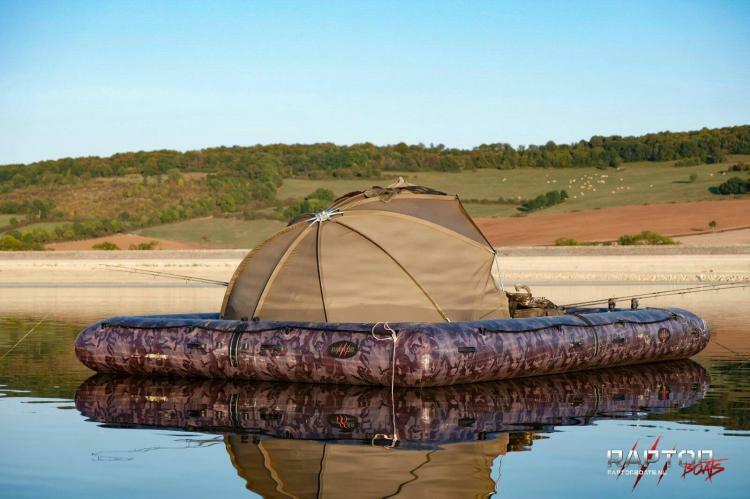 Perfect for fishing or hunting, the floating tent platform allows you to never leave the water. 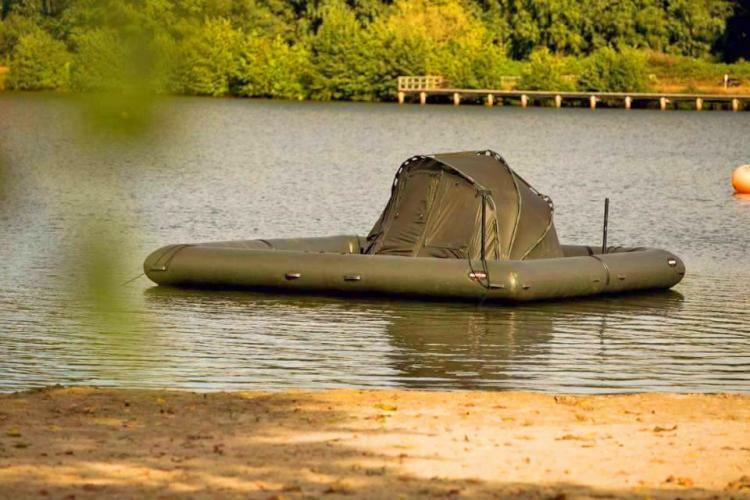 You can setup you tent, and either float aimlessly down a river or lake, or anchor down somewhere to stay put. 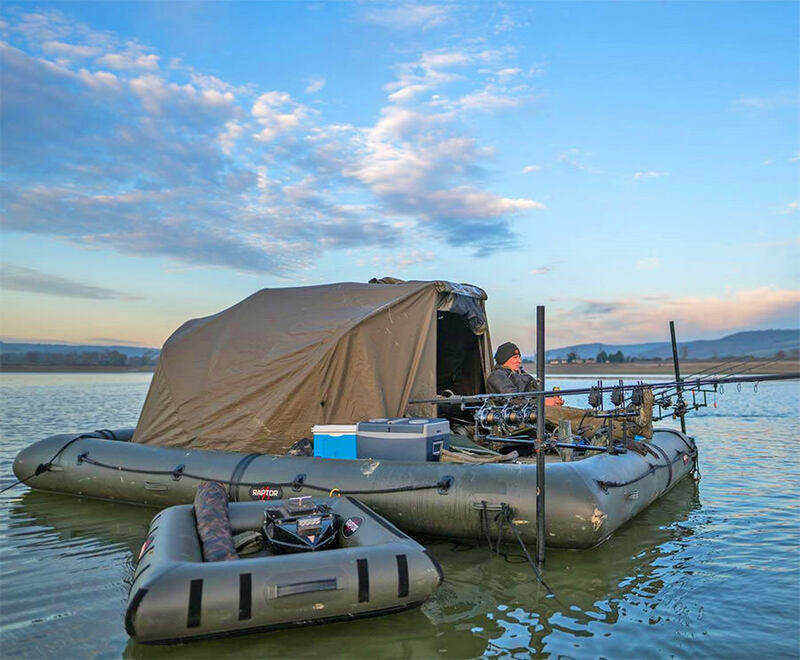 You can set up your poles around the edge of the platform, get out some coolers and chairs, and relax while you fish right next to your floating home for the next few days. 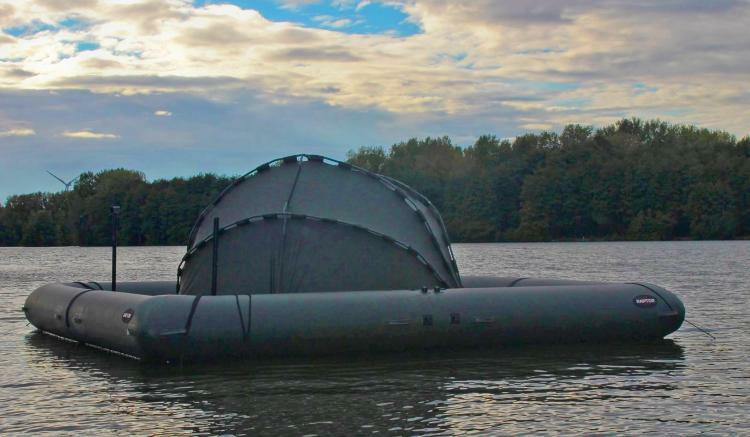 The platform is made up up 5 different inflatable pieces, so you just inflate them individually using an air-pump, connect them together, and put it into the water. 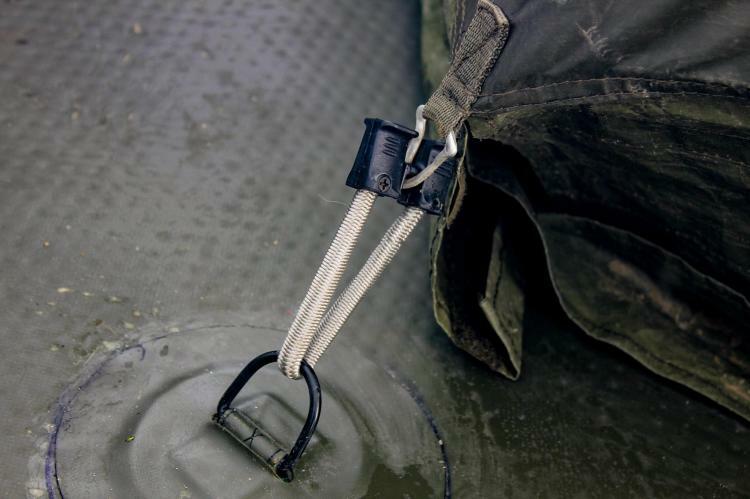 There are then d-rings throughout the platform to connect your own tent and other items that you'd like secured down. 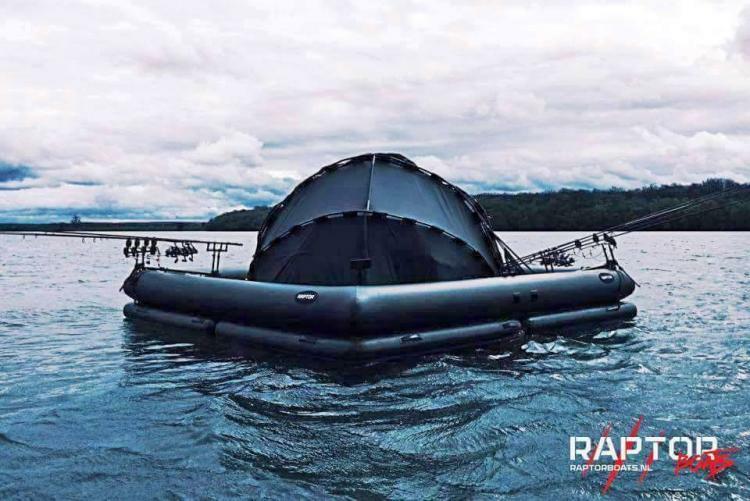 The total floating platform measures 16.4 feet long x 16.4 feet wide, with the inside usable area measuring 13.12 feet wide x 13.12 feet long. 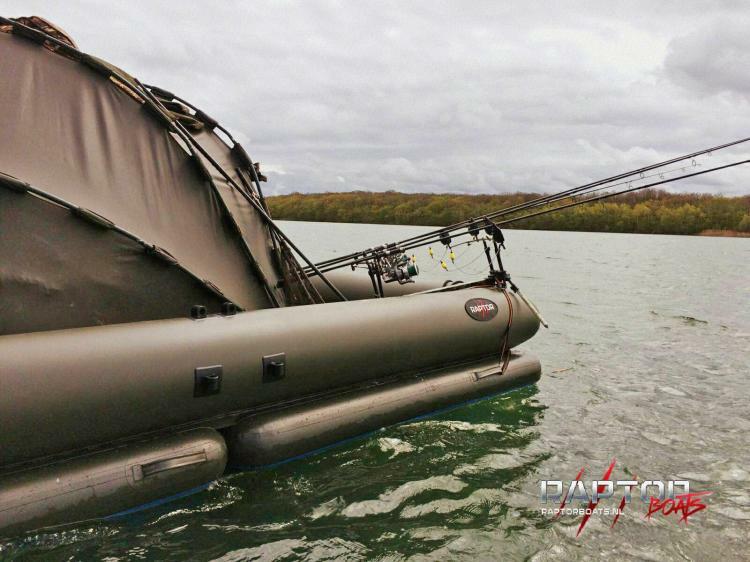 A large inflatable tube then surrounds the entire platform. 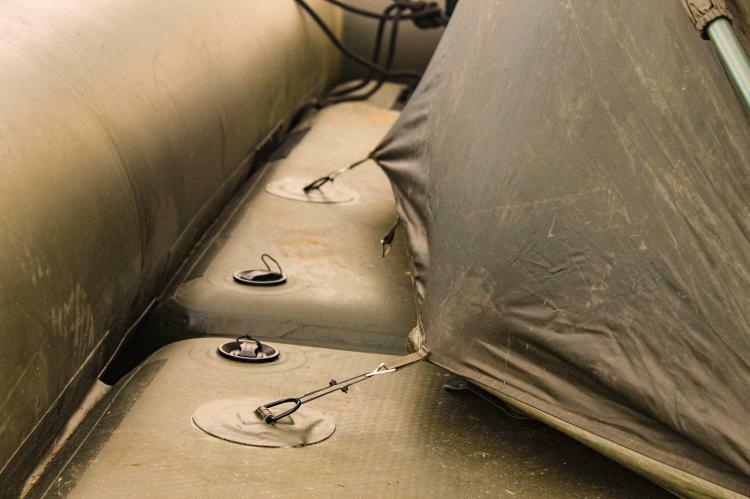 The outer tubes are surrounded by hand-grips, and the upside of the air-deck parts have an extra layer of 1.0 mm anti-slippery material for extra safety and prevent slipping or falling. 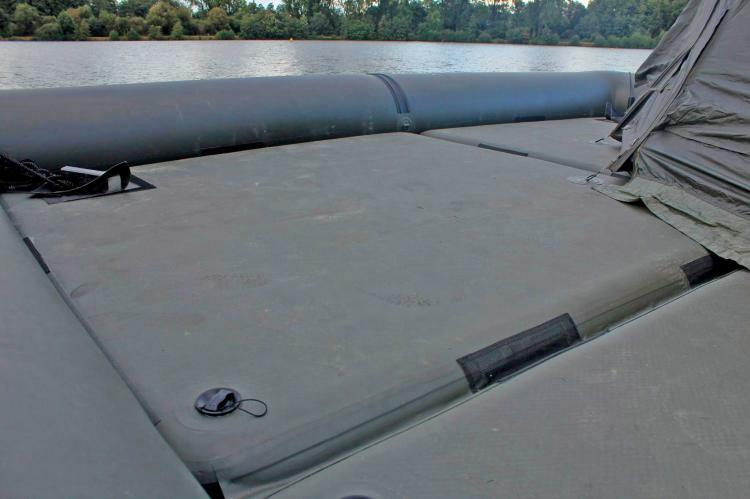 The total weight of the floating fishing platform is about 265 lbs, whereas the carry weight is about 220 lbs per m2. It also comes with its own repair kit which includes: glue, a valve key, valves, pressure valves, and PVC patches. 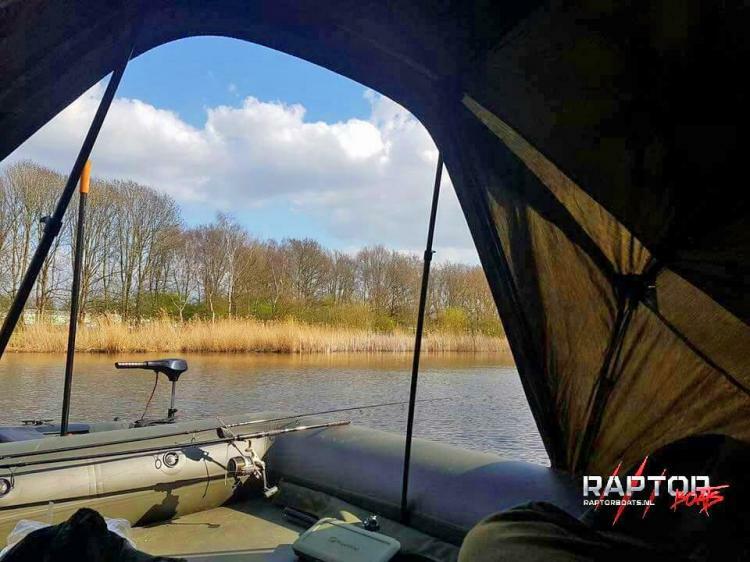 Just relax and enjoy the day, fishing into the night, having left the cares of the land behind. It's going to be a great adventure. So sit back and enjoy it all in comfort. 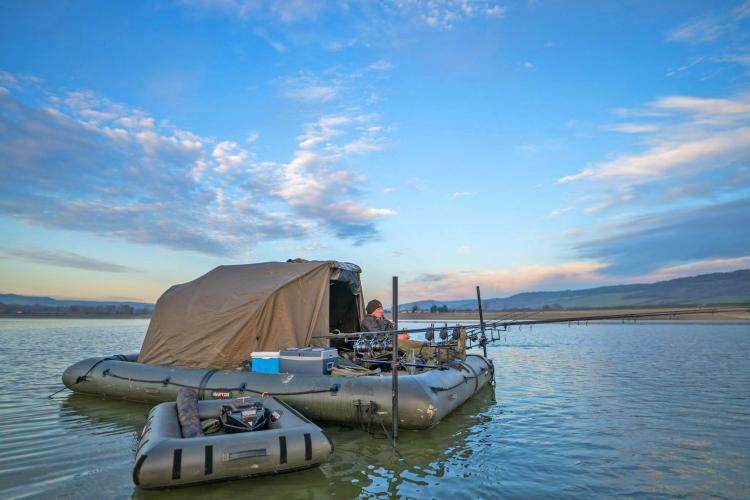 Check out the giant floating fishing platform that lets you camp on the water in action via the video below.